​Kendi has always loved telling stories. In fact, she thinks everyone has an interesting story to share. An accomplished journalist and content producer, Kendi grew up in Broken Hill in outback New South Wales, and began her career 20 years ago as a journalist telling tales across regional Australia. By the late 90s she was in Sydney, and spent the next few years in in-house communications roles before joining Hardman Communications, a city agency with its heart in regional Australia. She is currently the agency’s Strategy and Content Director, leveraging her years as a journo and her sharp mind to develop award-winning communications campaigns. In 2015 Kendi co-created Regional Voices, a new weekly radio program offering fresh perspectives on regional Australia. As program presenter, Kendi brings warmth and humour to the interview-style program, along with an ability to draw guests out of their shells and find the stories they each have to share. A key member of the Regional Voices team, Ali loves being a part of a radio program that brings to life amazing stories from around the country month after month. Ali is passionate about long form journalism across different mediums. From stories of adversity to success in business or the arts to exotic travel tales, Ali loves a compelling story told well. As Regional Voices’ Sales Manager, Ali connects advertisers with the Regional Voices program that will speak to their brand values and communication goals, striving to create a partnership that will see advertisers come back year after year. Regional Voices Program Director Al Jackson has a passion for regional Australia, with the extensive experience and far-reaching contacts to match. ​As Program Director, Al is a key member of the team who is across every program, from editing to final production. Scoping and finding interesting and inspiring stories that shape regional Australia is one of Al’s greatest passions. Karen is Regional Voices’ Producer. 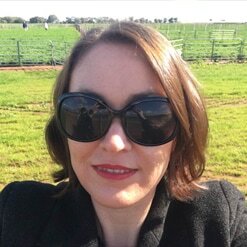 Based in Tamworth NSW, she is passionate about regional living and the need for communicating the stories of rural Australia. Everyone has a story and Karen enjoys hearing them. 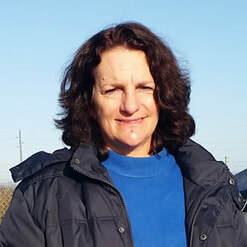 Karen oversees each episode from finding great stories through to final production and she is also involved in the marketing and distribution of each episode. Often the the first and last point of contact for each interviewee, she loves to have a good chat. If you have a great story feel free to give her a call.